Why Spirit WrapsTM Mascot Blankets? 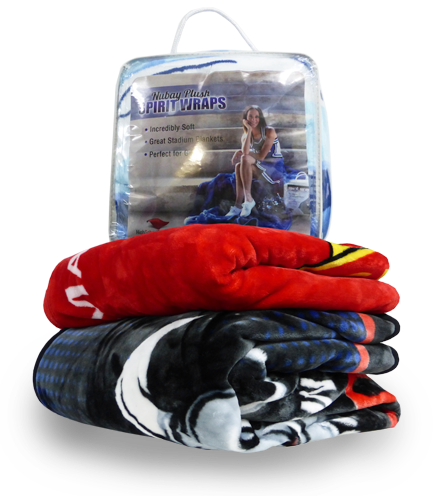 One touch and you'll understand why everyone loves our silky soft Spirit WrapTM Mascot blankets. Maximize Profits with Inventory on Hand! 70% of the schools we work with reorder every year and even more reorder eventually. These custom-made keepsakes fuel school pride and supporter excitement. The sample request form is temporarily unavailable. Please call 801-747-1011 to request an information packet directly with one of our friendly account executives.